Peter Parker has gathered many valuable items as Spider-Man. Apart from useful items, the protagonist also collects more sentimental pieces, which he stored in backpacks hidden all around New York. After the game’s prologue, you will learn how to find and collect them. 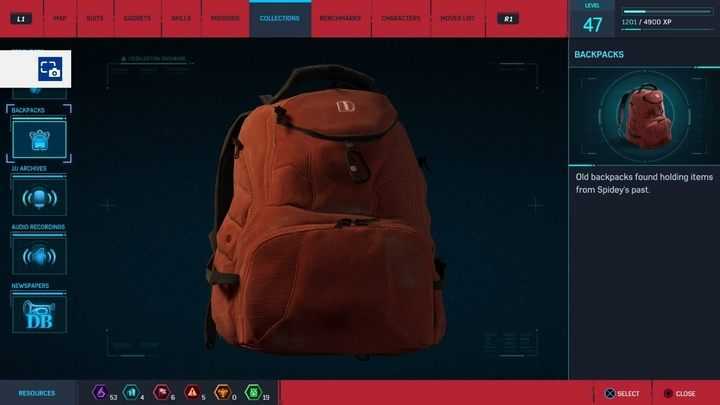 The backpacks can be located easily – they’re not entirely hidden away from you, since you can see them on the map – the game will award you with XP and Backpack Tokens, which can be used for crafting and upgrading the suit. The backpacks also count for the percentage of the game finished. You can pick them up during missions, no problem. Peter will comment on finding particular items, giving a short account of the details of obtaining the given item. 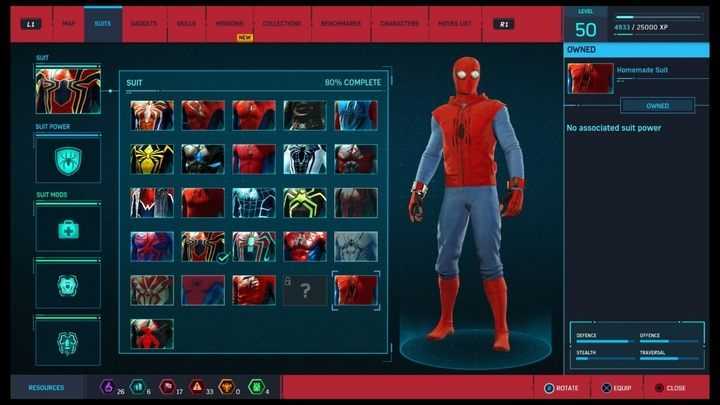 Once you have all of the backpacks, you will unlock a new costume – Homemade Suit. Copyright © 2014 - 2019 SocksCap64, All Rights Reserved. Logos, Trademarks, Pictures Belongs To Their Respected Owners. Powered By WordPress. 71 Queries in 0.414 seconds.